Co-captain David Brandolph executes a drill at the tryouts for the new Philadelphia team. Photo by Sean Carpenter. 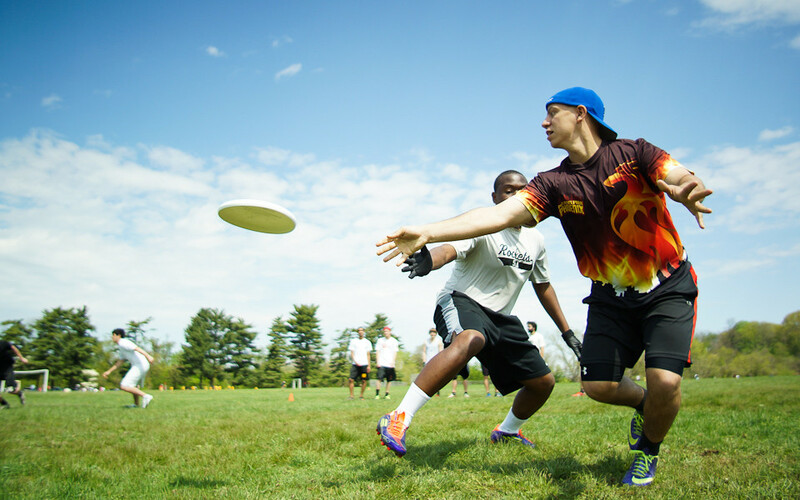 In a city known for its legendary teams and athletes, six young men have come together in Philadelphia’s historic Fairmount Park this spring in hopes of adding ultimate to that storied tradition. 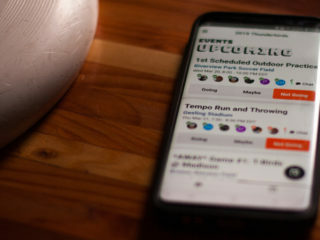 Five of those six men — David Brandolph, Jake Rainwater, Patrick Lindsey, Leon Chou and David Baer — play for Major League Ultimate’s Philadelphia Spinners. 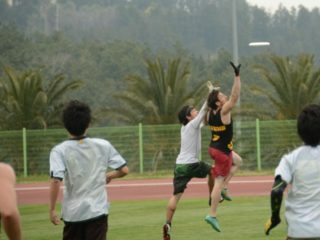 The sixth is Colin McIntyre, a top mixed club player recently relocated from Michigan. When it comes to sending perennial contenders to Nationals, Philadelphia has been noticeably absent. Despite having one of the largest ultimate communities, the city hasn’t been able to replicate the long-term success of places like Boston, San Francisco, or Austin. Those six young captains in Fairmount Park want that to change. Philadelphia’s last elite team was Southpaw, formed in 2010 and named in homage to iconic lefty Rocky Balboa. Southpaw’s penultimate season saw their best finish, taking sixth place at Sarasota in 2011. The final year, they struggled to have players commit to both practices and tournaments, and didn’t even qualify for Nationals. Some players in Philadelphia were turned off by Southpaw from the start, with its brutal tryouts and matter-of-fact cuts. They formed with a sense of urgency, leading to a team of talented players but without a deep bench. When the majority of Southpaw’s heavy hitters decided not to compete in 2013, there simply weren’t fresh players ready to step up. The team folded, and Philadelphia has been without an elite Open team since. The lack of a “farm system” is the core lesson that the six captains take away from the collapse of Southpaw. 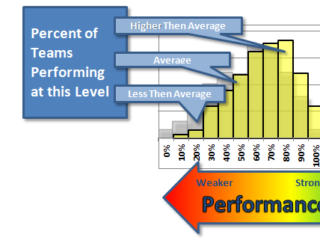 Their measure of success isn’t building one team; they’re looking to build a competitive second squad — even a third — all of which would help players develop from the college or club levels to the elite one. 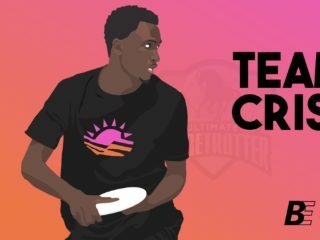 Such a tiered structure, where talent is nurtured and allowed to grow, is what they hope will establish permanence for elite Philadelphia ultimate. 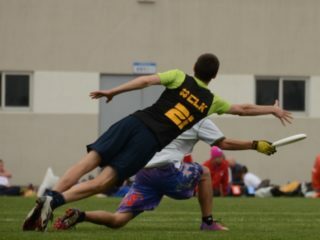 In 2013, after the top men’s ultimate talent in Philadelphia went separate ways, some of them went to Amp, the city’s top mixed team. Rainwater, who played for Southpaw with much of that talent group, acknowledges that Amp will continue to draw elite players. The players trying out for the as-yet-unnamed new team compete with intensity, while at the same time one can’t help but notice some levity along with their desire. Clearly, this is part of the design of the co-captains, a way to lure and keep young talent in their program. He was used to a little more structure. They have just a short time to pull their program together, with a Memorial Day tournament in Philadelphia on May 24-25. They are encouraged by the mix of players who have already expressed interest, from teenagers to 30-somethings with a mix of competitive experience. “In the past,” says Baer, “we had a team with the top 25 guys and we didn’t have a relationship with the ultimate community, and that was a mistake. So I want to bring together everyone in the community.” Before playing a single competitive game, the turnout alone suggests they very well may find success. With perseverance, they may find a legacy as well.